Motorized actuators mostly used in mirror and optical mounts for remote fine adjustment. Field of application limited only by creativity of the user. Actuator body is made from aluminum. Actuators are cleaned in vacuum chamber before packing and shipping. 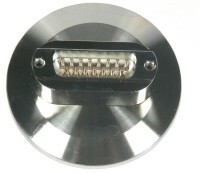 Motorized vacuum stages are equipped with high vacuum compatible Sub-D, male, 9 pin connectors. 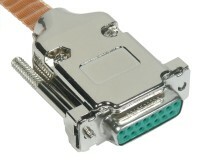 The connectors are made of glass filled polymer with a stainless steel outer and suitable for High Vacuum (10-6 Torr) and temperatures up to 110°C.